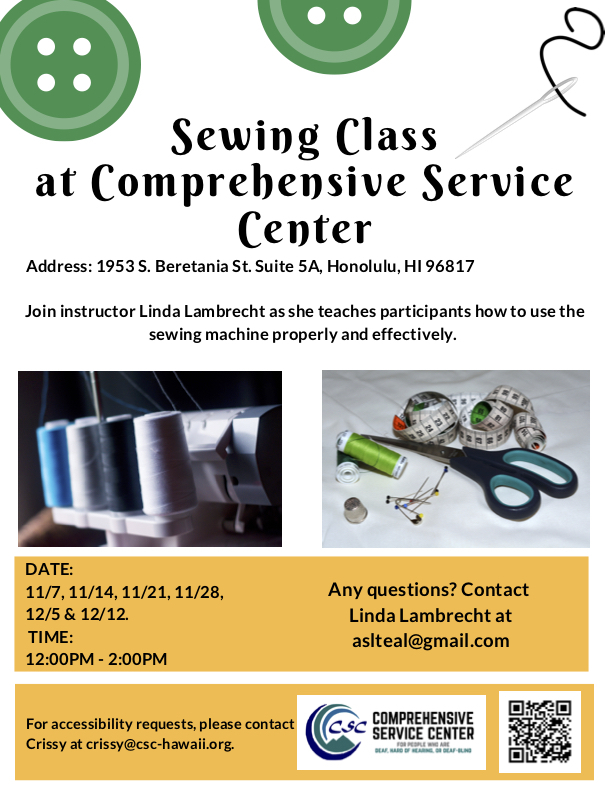 Join instructor Linda Lambrecht as she teaches participants how to use the sewing machine properly and effectively. We have two sewing machine to share. Please bring sewing accessories if you have at home.